My job is to make sure that businesses are getting the best possible value with their business insurance. I start the process by identifying businesses who I feel like I have the opportunity to help. Once I get my foot in the door, I like to sit down with them, and get an idea of what keeps them up at night when it comes to their insurance. From there, I will collaborate with a variety of insurance carriers to obtain quotes. I then evaluate the quotes and propose the ones that I feel provide my potential clients with the best overall value. I make it a point to provide each new client with the quality of coverage and service that the customers of Georgetown Insurance Service have come to expect. I always aim to cultivate a business relationship that will last for years to come. Why did you get into the insurance industry? The insurance industry seemed like a perfect fit for me. I always saw myself as someone who would enjoy sales, and I always wanted to be someone who helped others. Insurance provided me with the opportunity to do both of those things, and I thoroughly enjoy the position that I am in today. My morning routine consists of getting a cup of coffee, reading emails, and looking through insurance articles for information that could be valuable for my clients. The insurance industry is always changing, and it is important to stay up to date or you will get left behind. I like to end my day by making calls to businesses to try and generate new leads. I also make it a point to talk with the other producers at Georgetown about successes they have had in the day, and find out what contributed to making it a successful day. I take that information and look for ways to implement it into my daily routine. The most challenging part about my job also happens to be one of the best aspects of my job, and that is the competitive nature of the insurance industry. Everybody has insurance and everybody has an insurance agent. 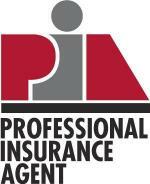 Building a relationship with your client is something that is very important to insurance agents. Once a good business relationship is established there is a certain level of loyalty that goes along with it. It is hard to compete against another agent who has established a good relationship with that prospect, but if you know that you can provide them with a better value you have to fight for it. You have to want it and you have to go get it or someone else will. That competitive nature of being an agent is what makes insurance difficult, but it is also the driving force behind our motivation. The best part about my job is being able to help everyday people, and seeing the difference that insurance makes in their lives. Insurance is a big expense for businesses, and it is nice to be able to provide clients with the peace of mind they deserve. Georgetown Insurance is different than other places I have worked, and it all comes down to the people inside the building. Every single person contributes to the success of the agency. We all share the same common goal — which is to better the lives of our clients. I would not be able to succeed in my job if it weren’t for the amazing people that I work with every day. When I was given a position at Georgetown I was told that nobody leaves once they are hired, and it didn’t take long for me to realize that is true. It is rare to find a business that has an office atmosphere like Georgetown’s.